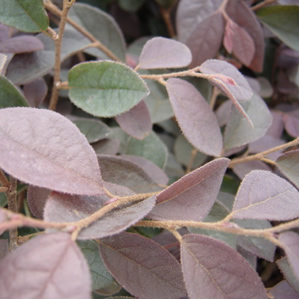 Zhuzhou Fuchsia Chinese Fringe Tree has blackish maroon colored foliage and can reach 8-12′ at maturity, making it one of the tallest cultivars available. This beautiful foliage is topped from spring to fall with fuchsia pom-pom like flowers. Loropetalum chinensis var. rubrum ‘Zhuzhou Fuchsia’ prefers a well drained non alkaline soil and will show chlorosis in a high pH soil. This shrub has an upright growth habit making it perfect to train as a standard or as an espalier. Zhuzhou Fuchsia is one of the most cold hardy cultivars available.